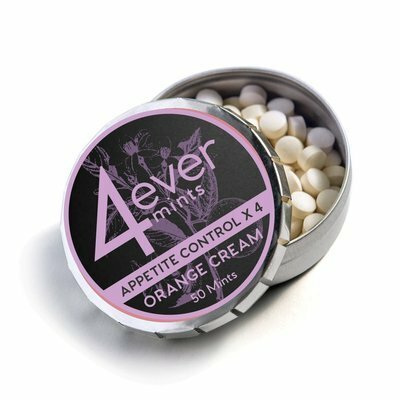 4everMints + Melatonin is a Orange Cream Flavored, long-lasting, slow-dissolve time-release breath mint that is fortified with a Melatoninn supplement to assist, at bedtime, for jet lag or sleep problems (insomnia.). Each tablet of 4everMints + Melatonin contains 3 mg of Melatonin. Warning: If you are under medical supervision or using any tranquilizers or sedatives, seek the advice of your healthcare professional prior to using. 4everMints Melatonin Orange Cream 50 ct has been added successfully to your wishlist. 4everMints + Melatonin is a Orange Cream Flavored, long-lasting, slow-dissolve time-release breath mint that is fortified with a Melatoninn supplement to assist, at bedtime, for jet lag or sleep problems (insomnia.). Each tablet of 4everMints + Melatonin contains 3 mg of Melatonin. Warning: If you are under medical supervision or using any tranquilizers or sedatives, seek the advice of your healthcare professional prior to using. Consult your physician before using if you have an autoimmune condition or depressive disorder or are a pregnant or lactating woman. Not for use by children under 12 years of age. Do not take when operating machinery or driving a vehicle.